Being a successful entrepreneur means having the right attitude, the determination and the commitment to achieve goals. Global Campuses Foundation is fortunate to have several faculty/students who have started their own businesses. In this newsletter, GCF will be featuring a few of the many entrepreneurs who attend GCF campuses on a weekly basis. Owning a business is very time consuming but all of the entrepreneurs featured in this issue use their time very well while also researching and teaching classes at their Global Campus. Global Campuses Foundation is very pleased to be featuring these hard working entrepreneurs this month. Grace DeFelice, a GC Moretown participant and entrepreneur, is capitalizing on her family’s commitment to recycling by collecting K-cups and, for a modest fee, taking them to the appropriate place to keep them out of the waste stream. 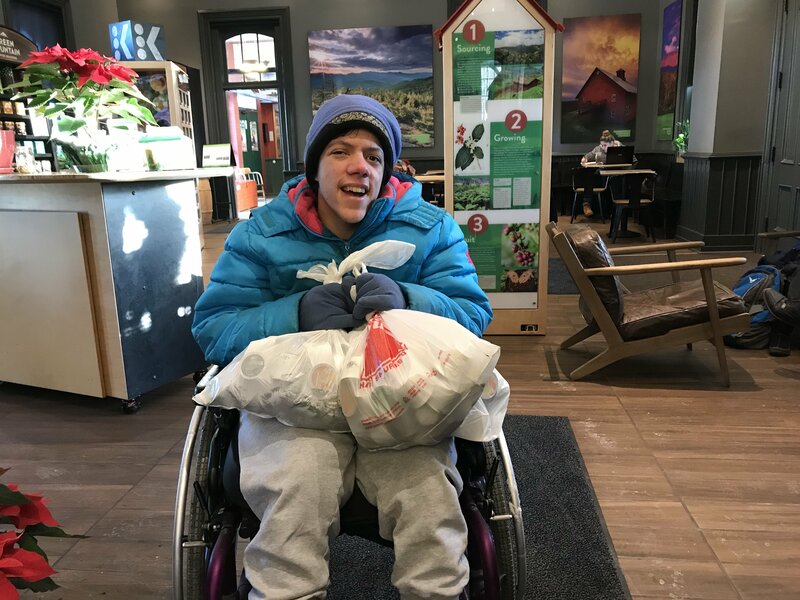 "Six months ago, Grace brought a proposal to the Upper Valley Services office in Moretown, where we drink lots and lots of coffee, and offered a plan to do the recycling,” said Deb Reed, service coordinator for Upper Valley Services. “That was within our wishes to reduce our trash and give Grace a job.” She also collects K-cups at the Francis Foundation that provides services to individuals with differing abilities. Grace makes a weekly trip to the Green Mountain Coffee Roasters Café and Visitor Center in Waterbury to recycle the K-cups she collects. Grace’s recycling habits began at home where she heads up her family’s recycling. An article about Grace and her recycling business recently appeared in the Waterbury Record. Cheyenne is an active student/faculty participant at GC Lamoille as well as a local business owner. Cheyenne decided to start her own business when she learned that local offices and businesses don’t always have nearby store locations or meal options. Each week Cheyenne prepares “snack boxes” which serve as a type of vending machine. She recruits customers, shops for and manages inventory, visits each site weekly, and tracks her profits and cash flow over time. Tiffany had been creating wonderful works of art and soon began turning her artwork into greeting cards. She set up her business, TiffMark, in 2015 and now sells the cards at various businesses in the Upper Valley area including the Local Buzz, Tuttles Diner and the Plant Pantry. Tiffany recently began painting canvases and some of her artwork will soon hang in the conference room at Upper Valley Services. Tiffany hopes to have her art displayed at other locations in and around Bradford, including The Space on Main. Debby began in her business in May 2011 after a suggestion by a service coordinator maintains 4 snack boxes at various businesses in the Morrisville area so that employees can have a snack without having to leave their offices that are not located close to any convenience stories. Debby is responsible for deciding what snacks to stock, purchasing and restocking her inventory and keeping track of her finances. Some of the money she earns goes back into the business and the rest she saves. She says the best part of her business is interacting with her customers! GCF is pleased to announce its' collaboration with Champlain Community Services, Washington County Mental Health Services and Families First in launching three new pilot campuses this spring in Colchester, Montpelier and Brattleboro. This project is possible through a generous anchor grant from Jane's Trust, as well as additional support from Flutie Foundation, the Alma Gibbs Donchian Foundation, and individual donors. Several years ago, Cheyenne had an opportunity to attend a program at a local college. Her brief time there was full of camaraderie and learning. But once it ended, she experienced a sudden void. The loss of support and sense of purpose eroded her confidence and spark. It left her wondering what was possible for her – how to live outside the program, in the rest of the world. Living with a developmental disability can be an isolating experience. It can be difficult to find a job, to continue learning and growing, to get around, to make friends, and to feel welcome in your community. Thanks to you, Global Campuses Foundation joins hands with adults who experience disabilities as they create a brighter future. “I like all of Global Campus. I listen and learn. And I like teaching– making people understand is GREAT!” Global Campuses offer lifelong learning, a platform for continuing education where adults with disabilities can discover and celebrate their abilities, with the support of their peers and the broader community. 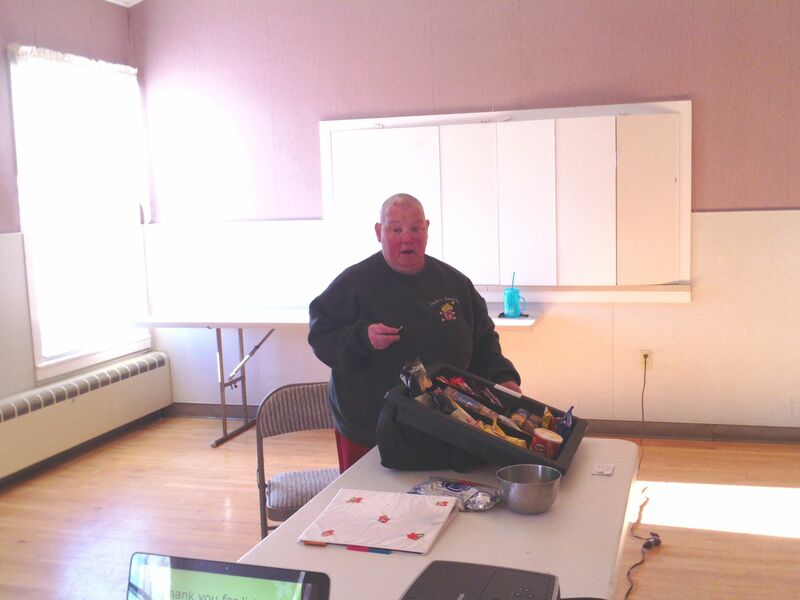 Participants study what they choose, at a pace and in a manner that works best for them. Because Global Campuses are there as long as participants need them, the profound growth they experience is continuously supported and multiplied. Cheyenne rekindled her sense of purpose at Global Campus. Cheyenne teaches classes on a diverse and growing range of interests – from painting to knitting, films to fashion, fitness, nutrition and history. Inspired by a peer mentor and fellow campus participant, Cheyenne decided to start her own business. Each week she prepares “snack boxes” – improvised vending machines – for local offices and businesses that don’t have nearby store locations or meal options. She recruits customers, shops for and manages inventory, visits each site weekly, and tracks her profits and cash flow over time. “Everybody’s gotta do volunteering.” Cheyenne gives back to her community as well, volunteering with Meals on Wheels. Cheyenne lost her own grandmother recently, and through Meals on Wheels, she feels like now has an extended network of family and grandparents who light up when they see her, and depend on her visit each week. You joined hands with Cheyenne. With a gift today, you can join hands with hundreds like her as they find their voices, speak up for themselves, grow, and give back to their communities. In January, together we will launch three new campus locations in unserved places like Burlington & Brattleboro, expanding to 12 campuses serving 350 unique participants each and every year. We can’t do any of this without you. Help us keep making it possible each day! Your gift of $50, $250, $500 or more today, will ensure hundreds of participants each week can learn, teach and grow in classes they create, all year long! Global Campuses Excited for #GivingTuesday on November 27th, 2018! What is #GivingTuesday? It's a chance to ensure education and wholeness for all our neighbors after the swirl and bustle of the Thanksgiving holiday weekend! #GivingTuesday is a global giving movement launched by individuals, families, organizations, businesses and communities in countries around the world. Celebrate Thanksgiving Thursday, shop Black Friday, browse Cyber Monday, and remember good causes on Giving Tuesday. Global Campuses Foundation is participating for the first time. Your support on #GivingTuesday will support ongoing, year-round educational and enrichment opportunities for Global Campus participants. Below, you can read examples of things our participants are accomplishing this semester! And we'll be in touch again next week with exciting news about expansion in Vermont and overseas. Regardless of the amount of the donation, we are grateful for the support. ClickHERE to make a donation or share the hashtag #GCFgivingtuesday with friends and contacts on social media (you can find us on Facebook here). More coming soon! Lacy is excited to join the GCF team as Academic Coordinator beginning in September of 2018. 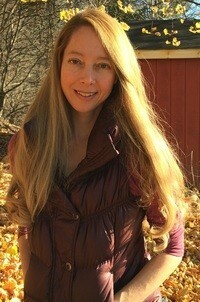 She moved to Vermont from Texas, where she was a high school English teacher for nearly a decade. She was a part of a team that collaborated and developed curriculum for 23 school districts across Texas and was named “Teacher of the Year” in her school district in 2016. 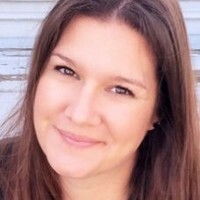 She is currently working on her master’s degree in Learning Technologies from the University of North Texas. 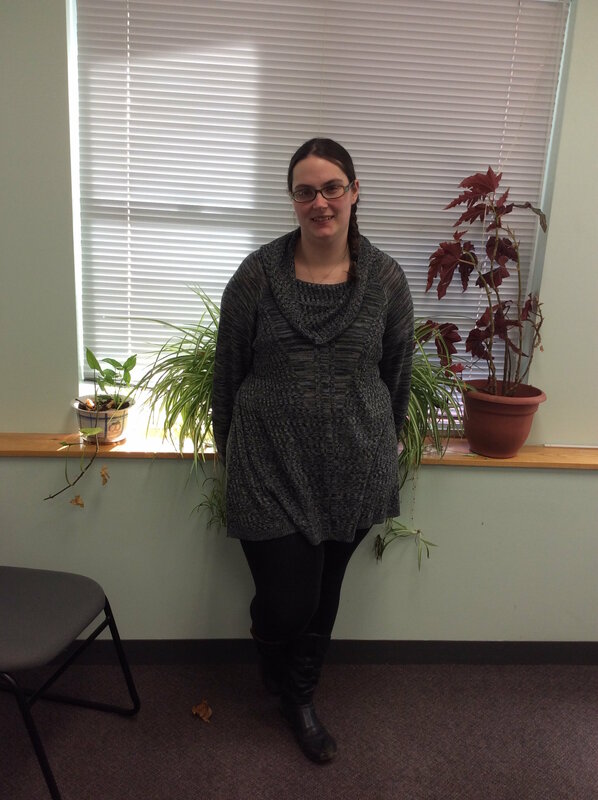 Lacy lives in Quechee with her husband and two kids; having recently moved to the area she enjoys getting outdoors and exploring, traveling and reading. Lacy shares: "I could not be more pleased to be a part of the GCF team. I found out early in life that my calling is in education. I admire GCF's mission and commitment to lifelong learning for everyone. My strength is helping people reach their fullest potential and I'm thrilled to support and learn with the participants of GCF." GCF is excited to announce Anthea Lavallee as its newest board member! Anthea has almost two decades of experience as an educator, development professional, and nonprofit leader. Anthea holds a Master's Degree in Biological Anthropology, and throughout her career has combined a curiosity about the natural world with an abiding passion for community building. 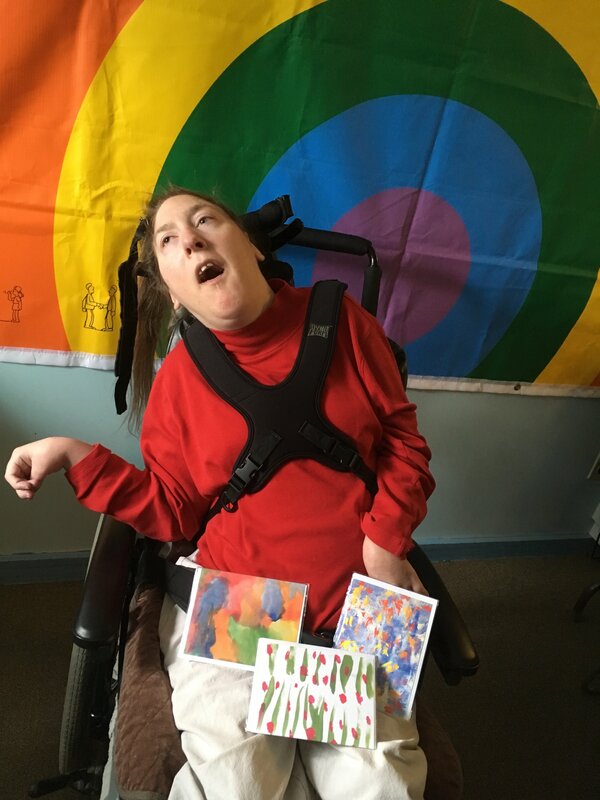 Currently the Executive Director of the Hubbard Brook Research Foundation, she has directed a range of environmental and zoological education programs in New England and across the U.S. She also has deep experience in the field of disability culture. In addition to serving years ago as the Development Director for GCF, Anthea served as the first Executive Director of Zack's Place, an enrichment center for persons with disabilities in Woodstock, VT. She has volunteered as a board member and program provider at a variety of organizations serving persons with disabilities throughout the Upper Valley region. Anthea said "I'm delighted to join the GCF board and am proud to advocate for what I believe is a truly innovative approach to empowering people who experience disability. GCF represents a way of thinking about ability that recognizes the full spectrum of skills and challenges that make up every human experience. I carry the GCF mindset with me in every aspect of my life and work." "We are delighted to welcome, and re-welcome, Anthea to the GCF team," said GCF Executive Director Matthew DeGroot. "Her long-standing commitment to GCF's mission, and her track record of excellence in serving communities in the Upper Valley, make her a perfect fit for helping Global Campuses benefit as many people as possible, in as many places as possible, across New England." Global Campuses Foundation (GCF) participants and community members attended the GCF Art Show at the Chandler Center for the Arts in Randolph, Vermont which was held on August 15th. The gallery featured art created by GCF participants from all 9 VT and NH campuses as well as the Thailand campuses. Throughout the spring semester, many of the GCF participant artists created paintings that reflected the works of artists like Gustav Klimt's Tree of Life and Vincent Van Gogh's Starry Night. Enjoy the art show video below. Happy Height of Summer from Global Campuses Foundation!